Bring the beauty of nature to any indoor or outdoor space with unique and versatile planters. Flower pots and planters can be used to liven up windowsills, decks, patios, kitchens, living rooms, bedrooms, balconies and yards. Their portability makes it possible to position them in well-lit spots for proper sunlight exposure and easy container gardening. 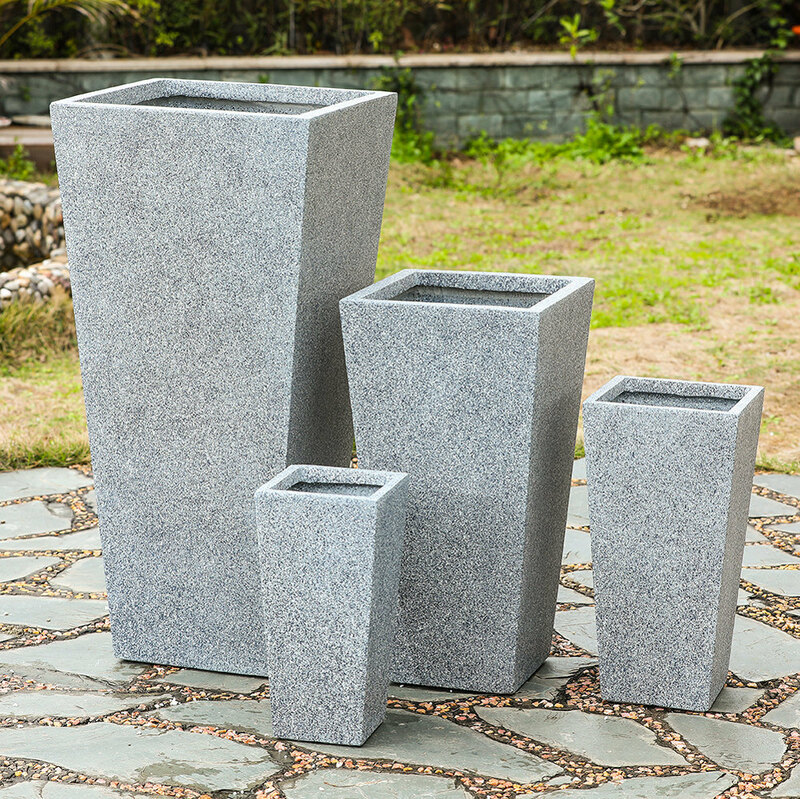 This Urban Trapezoid MgO Fiberclay Planter has a contemporary style and a beautiful finish adding the perfect decorative touch to your garden, patio, and porch. Product Dimension: 16.5"x16.5"x35" Shipping Dimension for pallet: L129" x W86" xH195"